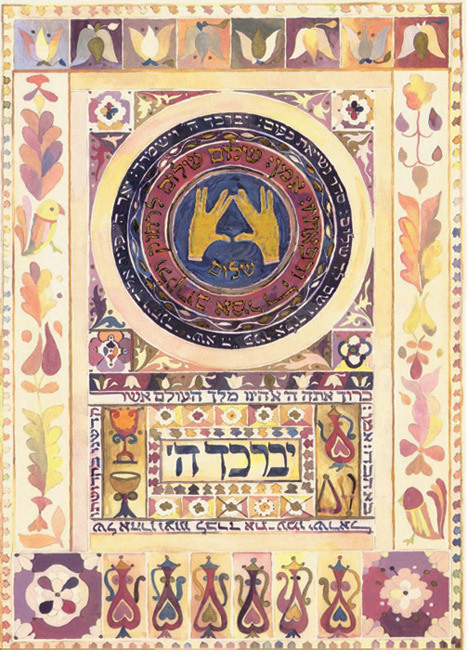 Created in the style of Jewish folk art from Iraqi Kurdistan. The painting is one of my oldest. I challenged myself to create a rich color palette while using the minimum number of somber paints. It was one of the most important lessons of my entire art career.